Go back a step – Make sure you’re landing the more simple stuff before you try anything too complicated. If you’re trying a new complex trick then break down the components and make sure you can do them all separately first. Listen to pumping music to get you really psyched up before a session, or even get some waterproof headphones to kite to your favourites. Go to an easier kite spot – I got really down my 1st week in Cape Town as the conditions were so much harder than I was used to. 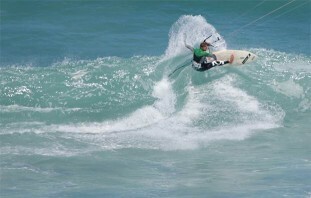 When I thought I’d lost all ability, a trip to the flat water of Langebaan did loads to reassert my confidence again. Understand what motivates you. Do you want to be heavily critiqued by others or do you progress better when you hear constructed criticism mixed in with praise? Knowing this about yourself will help you ask for the right advice to suit you. Film yourself to see what you may be doing wrong but not be able to pinpoint on the water. A great way to see easily what you are doing is to use a Camrig line mount for a GoPro camera. Watch our YouTube videos to get inspired and find a new trick to try. 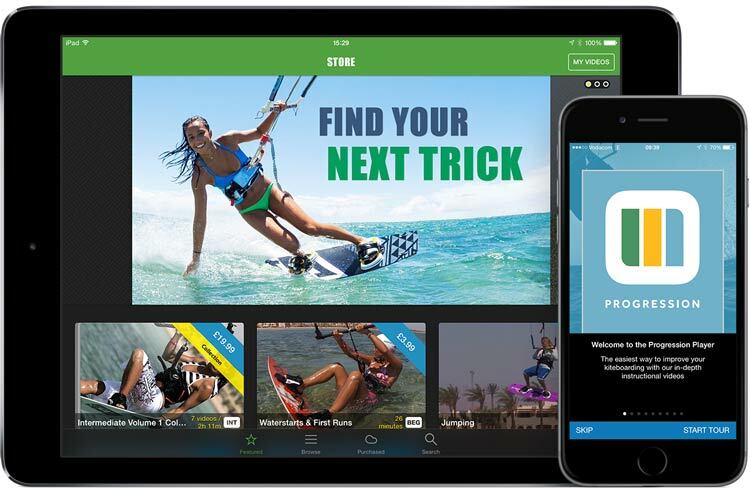 Or if you’re really serious about learning and progressing, the Progression Player app offers in-depth premium instructional videos to break down the moves you want to land. Have a break from kiting and do something different (yoga/cycling etc) to clear your head and help your body recover and be at it’s best for your next session. 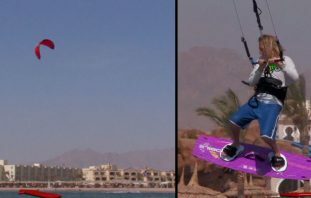 Go to a wake park – try your move without needing to worry about the kite – At the waterstart stage I learnt to ride both directions (when it felt so unnatural going right being regular footed) by forcing myself to only ride goofy for a few sessions at my local cable park. 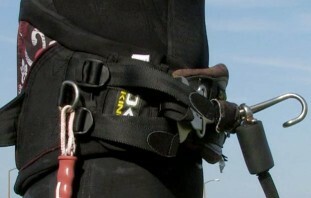 Check your kites, bar and lines over thoroughly to make sure your equipment is in good condition and flying correctly. You may find you need to trim your bar and that the problem you were struggling with isn’t even you! 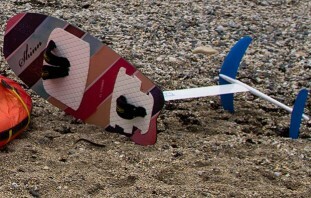 See our video on tuning your kite. Involve yourself in the kite community and share your experiences as we’ve all been there, and solidarity is sometimes all you need. There’s also many online Facebook groups and forums for you to easily join in. Make sure you’re not always kiting with others that are way beyond your level as you can sometimes lose your sense of achievement. Take time out to kite with others of the same ability, or even amongst those not as good as you as you’ll be able to see how far you have really come, as well as nurture learners to progress. Rule of 3 – Don’t try and do everything every time you have a session: pick 3 new things to work on and you may find you can concentrate your progress better. It also means that if you are repeatedly crashing a specific trick, you can put it aside and have another trick ready to try. Be realistic – don’t set yourself too high goals that you can’t achieve. Finally the most important thing is…. 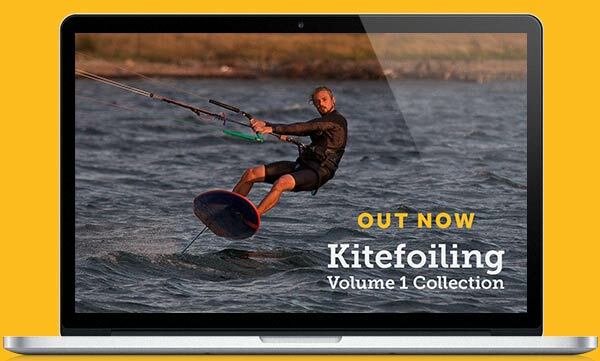 Remember kiting is for your enjoyment, so don’t stress, just get out there and enjoy it!